Pradosh Vrat is one of the sacred Hindu fasts in the Hindu Calendar, Pradosh fast, also known as Pradosham, is a bimonthly occasion dedicated to Lord Shiva. It is observed on the 13th day of the lunar fortnight. The day is entirely dedicated and devoted to the Supreme Lord, Shiva and Goddess Parvati. Pradosh Vrat is a sacred fast, symbolizing victory, courage, and removal of fear. AstroSage gives you a comprehensive list of Pradosham 2018 fast dates. It is said that Lord Shiva is extremely generous during this time and bestows his devotees with prosperity and abundant happiness. If you follow Pradosh Vrat with dire dedication and devotion, all your desires and wishes would get fulfilled by the deity. Hence, devotees observe Pradosh fast for liberation (moksha) and salvation. Pradosh fasting awakens your soul and helps you achieve outbound growth and happiness in your life. 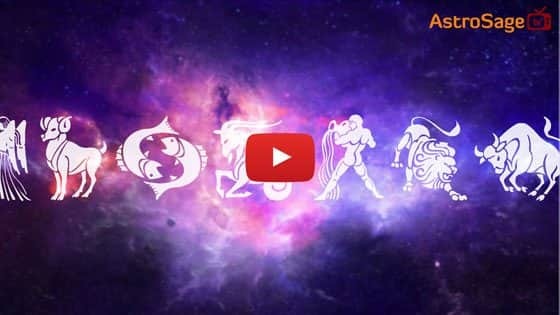 From removing your previous sins to finally helping you in facing problems, this Pradosh Vrat is everything you need to observe while struggling with tough times. If you are seeking for peace of mind and mental clarity, then this is the vrat that can give you prosperity, courage, and removal of fear. As per Hindu Panchang, Pradosh Vrat that falls on Monday is called Som Pradosh or Pradosham. Pradosh Vrat that observes on Tuesday is called Bhauma Pradosham. Pradosh Vrat when falls on Saturday is called Shani Pradosh. Of all the Pradosh Vrat, Soma Pradosh and Shani Pradosh are considered to be highly auspicious. The Pradosh vrat katha (story) is done in the evening on the trayodashi period of both fortnights, Shukla Paksha (waxing moon period) and Krishna Paksha (waning moon period). Trayodashi Tithi falls during Pradosh Kaal and begins after sunset. After the sunset when Trayodashi Tithi and Pradosh time overlaps, then that time period is considered highly auspicious for worshiping Lord Shiva. If you follow Pradosh Vrat vidhi with dedication and devotion, then it benefits you physically, mentally and spiritually. ● Devotees need to apply sacred ash on their forehead. ● To conclude the fast ceremony, a piece of cloth and a portrait of Lord Shiva are given to a Brahmin (the knower of Brahman or God) or a priest. Note: Chanting Maha Mrityunjaya Mantra for 108 times during the Pradosh Vrat brings you prosperity and mental clarity.